Marketing is an important concern for any business today, especially in the age of technology. The rise of the internet has brought us many new potential marketing platforms, and businesses must take advantage of them in order to achieve maximum branding potential. 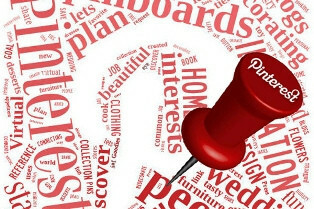 Pinterest is one platform that holds great potential as a visual marketing tool in the world of social media. Follow these 5 tips for Pinterest brand positioning to make the most of your social media marketing strategy. Any effective brand positioning plan is going to require confidence on your part. Your brand should come across as approachable and helpful–your customers should be able to feel like they can rely on you. This is especially important in internet marketing, a setting in which many consumers feel like they are dealing with faceless entities. Exude confidence as you work on your Pinterest brand positioning, and your audience will come to appreciate you as a reliable and trustworthy brand. Any success-oriented brand should be taking careful note of its competitors in order to achieve its goals. Try to remember that your competitors are not simply enemies on the battlefield. In reality, they are working toward the same goal as you, and you can learn from them. Think of your Pinterest brand positioning campaign like a foot race. If someone is pulling ahead of you, study their moves and figure out what they’re doing to win. Determine what your competitors are doing better than you, and think about how you can further improve on those points. Pinterest is a very visually-oriented social media platform, which works to the business owners advantage. People, by and large, are very responsive to visual stimuli, and this makes Pinterest a powerful branding tool. While you work through your Pinterest brand positioning pursuit, continually refine your brand image. Maintaining consistency is important, as reinventing your brand too often will turn customers away, but you can use this platform to see what consumers are responding to. Refine your brand image to suit the audience’s taste. As powerful as Pinterest may be as a marketing platform, successful brand positioning can’t be achieved by fighting on a single front. Take your brand positioning across multiple platforms. Use Facebook, Twitter, and other social media networks to promote your brand. Pinterest is not currently one of the more popular social media platforms for businesses, and caters to a limited audience. Link multiple social media accounts together to reach the widest possible audience and draw customers from many different circles. Whether you’re branding for a web-based magazine, a sign company like BrightLEDSigns.com, a clothing company, or anything in between, increasing your brand positioning potential by adding Pinterest buttons to your blog or website. Social media platforms like Pinterest are heavily based on sharing. When one user shares one of your photos, it will be seen by hundreds of others who may also share it, and so forth. The potential exposure is exponential, so maximize your brand positioning by allowing your readers to Pin whatever they like.